While physical therapy aims to increase mobility and function, occupational therapy is focused on helping people live as independently as possible. There is some overlap between the two; several methods of physical therapy are used as part of occupational therapy. People with mental and physical impairments, developmental disabilities, after sudden serious health conditions like a stroke, Chronic conditions, like arthritis, after a work-related injury. After injuries or long-term health problems like back pain, osteoarthritis, spinal stenosis, Parkinson's disease, multiple sclerosis. 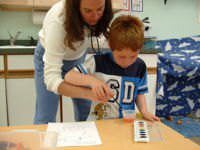 2 What does an Occupational Therapist Do? 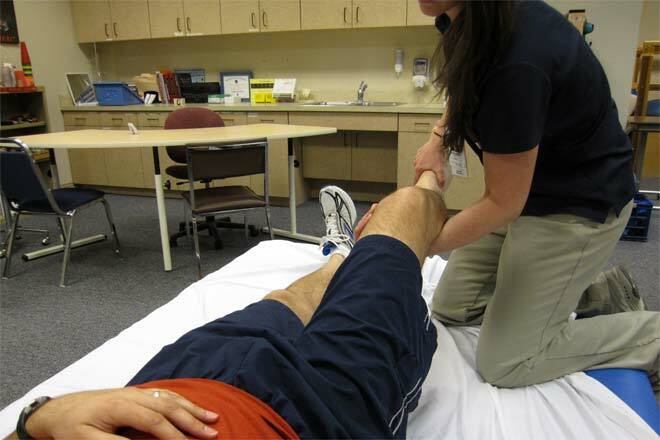 3 What does a Physical Therapist Do? 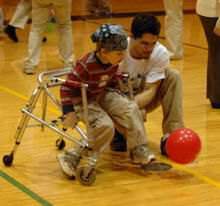 A physical therapist working with a kid. In case of a person with major traumatic injury it helps the person to recover by facilitating early mobilization, restoring function and preventing worsening of the patient's condition. In case of the aged, OT can actually help elderly people deal with age related disabilities. It helps them lead a better, more independent life. In the case of people suffering from drug addiction, mood disorders, dementia, anxiety disorders, and personality disorders the occupational therapist will teach the patient to keep a daily planner, manage money, build social skills and increase community participation. Physical therapy on the other hand focuses on a specific part of the body, which has undergone trauma, for example a fracture or a torn ligament and giving it certain kind of exercises to regain function and mobility. In the early days of physical therapy, it was only restricted to exercise, massage and traction. 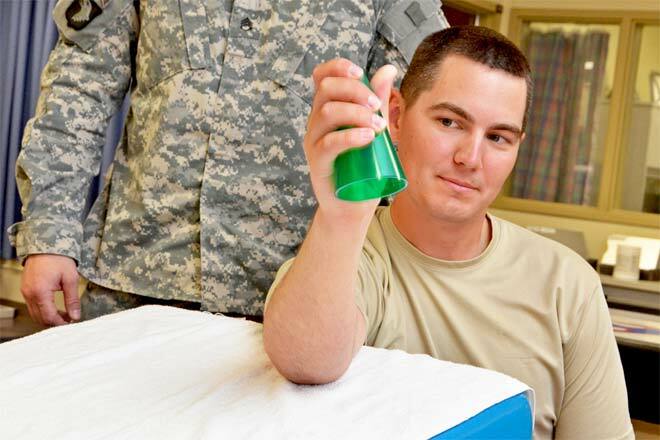 Now physical therapists may specialize in specific clinical areas. e.g. there are specialized physical therapists treating only those who have had cardiac surgery, or athletic injury management, like acute care, treatment and rehabilitation, prevention, and education. Give instructions to help protect the joints and conserve energy. Evaluate the daily living needs and assess home and work environments, with recommendations for changes in those environments that will help the patient continue their activities. Give assessment and training in the use of assistive devices. Examples are special key-holders for people who have stiff hands, computer-aided adaptive equipment, and wheelchairs, fitting splints or braces. Give guidance to family members and caregivers. Depending upon the health problem, the therapist will help the patient with flexibility, strength, endurance, coordination, and/or balance. First, the therapist will try to reduce the pain and swelling. The physical therapist may also use manual therapy, education, and techniques such as heat, cold, water, ultrasound, and electrical stimulation. Then the physical therapist will teach some exercises that can be done at home. It will include stretching, core exercises, weight lifting, and walking.